The late C. Vann Woodward was the Sterling Professor of History at Yale until his death in 1999. Among his books are Mary Chestnut's Civil War, The Origins of the New South, Tom Watson: Agrarian Rebel, and The Burden of Southern History. He was also General Editor of The Oxford History of the United States series. 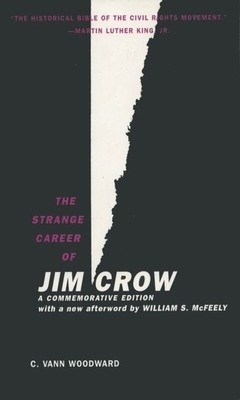 William S. McFeely won the Lincoln Prize in 1992 for Frederick Douglass and the Pulitzer Prize in 1982 for Grant: A Biography. He is Abraham Baldwin Professor of the Humanities Emeritus at the University of Georgia and lives in Wellfleet, Massachusetts.